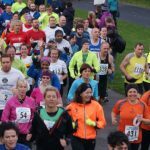 After a successful return to the racing calendar in 2017, the Lancaster Marathon will return in September 2018 . 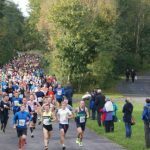 The Lancaster Marathon is a small but competitive marathon aimed at every type of runner from your personal best hunters to your first timer! A superfast course with just one hill to contend with! You will be cheered on by our friendly marshall’s throughout the course and the spectators along the home straight, with the race finish in the glorious setting of the Lancaster Castle gates. All runners will receive a bespoke medal, technical t-shirt, free photos and also a few food and drink goodies to get you moving again! Race registrations, will take place from the Kings Arms Hotel on Market Street with the race finish line and the final presentation taking place inside the Castle courtyards. The race starts just a short walk from Lancaster Castle at Lancaster Football club’s Giant Axe ground. The race route is mostly rural taking in the Luneside countryside and will be relatively flat so suitable for new marathon runners and personal best hunters! But…..be aware this race has a tough final 1/4 mile finish uphill back to the Castle! The route is very spectator friendly and is mainly traffic free. When is the race in 2018? The race start is two minutes away from the race HQ and finishes at the Lancaster Castle, Castle Parade, LA1 1YN. 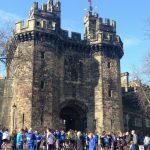 The Lancaster Castle is the Race HQ. PRE-ENTRIES – NUMBERS COLLECTED ON THE DAY! Parking around the Castle itself is P&D but Lancaster has a number of car parks that are within a 5-10minute walk. The drinks stations will be 2.5 to 3 miles apart with bottled water. 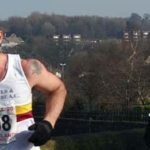 To run the Lancaster Marathon you must be 18 on race day.